We are pleased to announce a gorgeous litter of 5 Goldendoodles born December 15th. Based on their 54 pound Goldendoodle mom (Lexie) and 12 pound Poodle dad (Odie), we expect this litter f1b mini Goldendoodle puppies to be 20-37 pounds full grown. We are very impressed with how well this litter of five boys plays together! We believe they will make outstanding family members for a few fortunate forever homes. Everly is a wonderful little boy with a terrific temperament. He is the picture-perfect red Mini Goldendoodle. Everly is very intelligent as well and will be a wonderful addition to his new family! 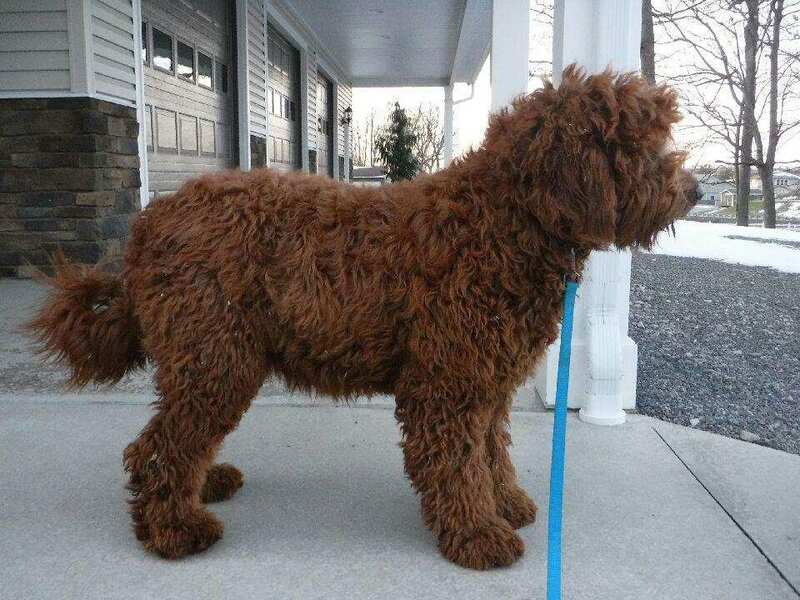 Eli is a cute puppy with a thick, curly coat. He is fun-loving and intelligent, but he also loves to snuggle up to us! Eli is gentle, sweet, and very loving! Emperor is such a fun puppy! He is super cute, and his deep red coat really make his big puppy-dog eyes pop. He has a cheerful personality will bring his joyful spirit wherever he goes. He will make a lucky forever home very happy! Emmit is a handsome red Mini Goldendoodle with a curly coat. He is a gorgeous and affectionate puppy who loves to be loved. He will be a head-turner for sure during walks through the neighborhood. Epcot has a handsome red coat and a personality as attractive as his coat. He is so much fun to be around, and is super intelligent! We think that he will be a easy to train and is a wonderful Mini Goldendoodle!